Sedation dentistry is generally intended for those whose fear of the dentist might prevent them getting the dental care they need. 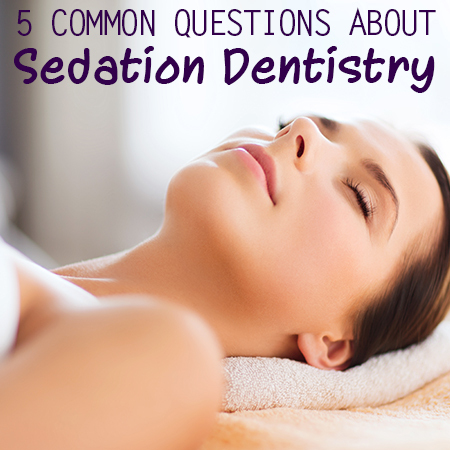 If you suffer from dental anxiety, sedation dentistry might be the perfect solution. It is also great for patients with high tolerances to anesthesia, strong gag reflexes, or who have jaw pain. Your Bangor dentists will give you medication before or during your procedure, such as anxiety pills or nitrous oxide (laughing gas). Whatever your preference, the sedatives will help melt away your fears and allow for a pleasant, relaxed experience. Just make sure you have someone to drive you home. Sedation dentistry does not involve the use of general anesthesia, so you will not be put to sleep during your visit to the dentist. However, the methods and medications used often relax Creative Dental Solution’s patients so much that they fall asleep on their own. Many dentists offer sedation dentistry options now, but the best way to find out more information is to call your Bangor dentists Dr. Sevey and Dr. Sigwart. Creative Dental Solutions is committed to providing every patient with premium dental care and a comfortable experience. We offer the highest quality sedation dentistry services to make your visits as comfortable as possible. Contact us today to find out more or schedule an appointment.